Tennessee collaborative law and collaborative agreements explained. Collaborative Law is a form of alternative dispute resolution that was invented in the 1980’s. 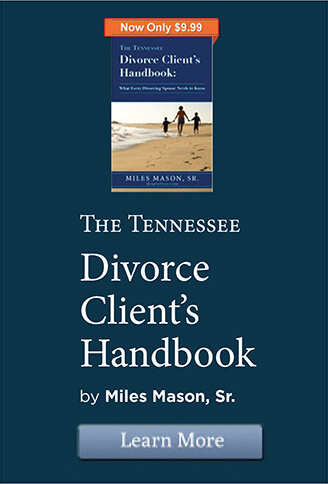 Since its introduction to Tennessee, many divorce attorneys in the state have advocated Collaborative Law as a substitute for traditional divorce. Typically, divorce is an adversarial process. This means that each party hires a divorce lawyer to zealously protect his or her best interests. Alimony, custody, division of assets, and child support are usually determined through litigation under the adversarial model. Collaborative Law follows a different framework. Parties who enter into the Collaborative Law process initially agree not to litigate. Each party hires an attorney trained in Collaborative Law to try to negotiate a settlement with the opposing party’s attorney. The Collaborative Law process begins when both parties and their attorneys sign a four-way agreement to enter into good-faith negotiations rather than litigation. The attorneys and the couple seeking divorce hold meetings over an unspecified period of time to discuss the possibility of reaching a settlement. These meetings may take the form of informal discussions between the attorneys or joint conferences with everyone present. During the process of reaching a settlement, non-legal professionals may be brought in to assist the parties. 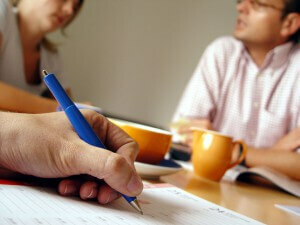 Financial information is exchanged between the parties over the course of the Collaborative Law negotiations. In the adversarial process, this exchange occurs through the process of discovery. The court compels both spouses to fully and accurately disclose all relevant financial information. In contrast, the Collaborative Law process calls for a voluntary exchange of documents and information. Neither spouse can compel the other to fully disclose any financial information. Although both parties initially sign an agreement to negotiate in good faith, the settlement process may be ended at any time by either party for any reason. There is no requirement that either party continue to participate in the Collaborative Law process. If one party desires to unilaterally terminate the negotiations because of a disagreement or a breakdown in communication, both attorneys and all hired professionals must withdraw from representation. Once a party decides to withdraw, both parties will have to hire new attorneys. From one perspective, all the money and time spent on the divorce process up until that point is lost. If an agreement is reached, the parties sign settlement documents. These documents typically include agreements to dissolve the marriage, divide property, set custody schedules, and set child support payments. The documents are then submitted to the court for approval. Attorneys and professionals specializing in Collaborative Law have recently led a movement to establish uniform standards for the practice of Collaborative Law. The Uniform Collaborative Law Act, the “UCLA,” was drafted in 2009 to promote uniformity in the practice of Collaborative Law. The UCLA sets forth specific rules and procedures meant to guide attorneys and professionals through the Collaborative Law process. The UCLA was designed for enactment by state legislatures. The UCLA may apply to areas beyond divorce law. The drafters of the UCLA had difficulty defining “family law,” and thus the language of the Act allows for the practice of Collaborative Law in non-family law situations. While proponents of the UCLA claim that 90% of all Collaborative Law practiced is family law, the Act itself can be applied to all areas of the law. The effort to promulgate the UCLA, however, has met limited success. In 2011, the American Bar Association House of Delegates rejected a resolution calling for the approval of the UCLA. State-level attempts to enact the UCLA have also been unsuccessful. Although uniform standards have been proposed for enactment in almost every state, the overwhelming majority of state legislatures have declined to adopt the UCLA. As of 2011, only three states (Utah, Nevada, and Texas) had given legislative recognition to Collaborative Law. In 2010, the Tennessee state legislature failed to pass a bill that proposed uniform Collaborative Law standards. 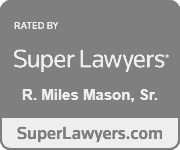 Although an increasing number of attorneys hold themselves out as Collaborative Law practitioners, there are still no requirements governing its practice in Tennessee. 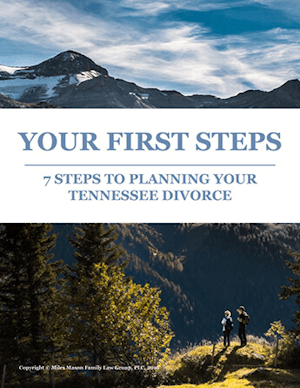 Is a Collaborative Law Divorce Right For Me and My Tennessee Divorce? Because no set standards exist for the practice of Collaborative Law in Tennessee, it is vital that a client seriously weigh the options before choosing Collaborative Law over litigation. One aspect of Collaborative Law is that a client’s attorney is disqualified from further representation if a settlement cannot be negotiated. Many believe this motivates the Collaborative Law attorney to encourage the negotiation process. Parties may be able to avoid going to court if an agreement is negotiated. There are other potential benefits to the Collaborative Law process. One benefit is that the Collaborative Law model holds a potential for decreased animosity between parents. If both parties are able to fully agree on custody arrangements and future child support payments, it can reduce the stress on the family. Another benefit is that an outside expert, like a financial planner or CPA, called a financial neutral, may be brought in to assist during the process. Although this expert adds to the overall cost of the divorce, it saves the parties from each having to hire a financial expert, which would most likely be even more expensive. Furthermore, the Collaborative Law model provides little room to question the validity of the opposing party’s financial statements and disclosures. 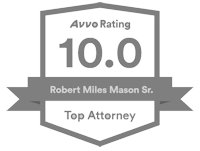 An attorney engaged in litigation has the ability to challenge and question the opposing side. Parties who do not fully and voluntarily disclose information during the litigation process may be compelled by the court to produce financial information under oath. Even though full and voluntary disclosure is encouraged under the Collaborative Law model, there is no formal procedure to compel a complete exchange of financial information and documents. An attorney who challenges the completeness or accuracy of the opposing spouse’s disclosures runs the risk of upsetting or alienating the opposing spouse. This is dangerous because the opposing spouse can decide to withdraw from the negotiations at any point. In addition, a violent or coercive relationship is not eligible for a Collaborative Law divorce. Both attorneys become automatically disqualified from representation if violence or coercion occurs after the spouses have agreed to enter negotiations. Even if the innocent spouse is abused or coerced, both spouses must seek new counsel. Even if the client’s advance agreement is made ‘knowingly and freely,’ [withdrawal is permitted] only where it can be accomplished without “material adverse effect” on the client’s interests. Where the client is of relatively meager means, the lawyer’s withdrawal may be materially adverse to the client. Under such circumstances, the lawyer’s withdrawal may be unethical. The Colorado Bar Association found the Collaborative Law agreement to be a fundamental conflict of interest that could not be waived by the client. Collaborative Law is an alternative but risky substitute to traditional litigation. Both spouses should be fully informed at the beginning of the process if the Collaborative Law format is chosen. Anyone considering Collaborative Law as an alternative to litigation should seriously weigh the benefits and risks. For more information, see Updated Executive Summary, Uniform Collaborative Law Rules and Uniform Collaborative Law Act from the American Bar Association Section of Dispute Resolution: Collaborative Law Committee.